There are so many options when deciding on the right garage door. 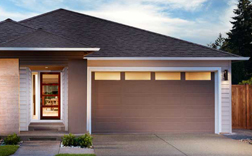 It can be an overwhelming experience trying to just choose the right garage door for your home. Don’t worry here at Garage Door Installation Santa Clarita CA we can help you choose the right garage door. Additionally, any garage door you choose can be can have our installation service the same day, in most cases. Special orders could take a bit longer because they have to be manufactured. Although, as soon as your garage door is prepared by the manufacturer we will install it with ease. We can install garage doors for both commercial and residential settings. This includes store fronts, parking lots, and commercial garages. But it also includes your home. No matter what your garage door need be sure to give us a call. Our unparalleled service is the best in Santa Clarita with many satisfied customers. Call us today to discover why we’re the best in the hood. We have a vast network of partners for garage doors. These include major companies like 1st United, Amarr, Clopay, and Wayne-Dalton. As mentioned before, we can also have special orders made to guarantee you get the exact garage door for your home. 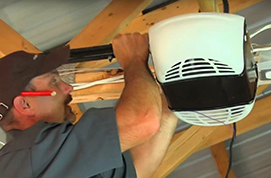 Our professional installers are bonded, certified and insured. This means you can rest assured that your garage door will be perfect. Not to mention, you can count on our 100% Money Back Guarantee ensures your peace of mind. Garage Door and Gate Repair Santa Clarita CA provides outstanding garage door installation service. With many satisfied customers which you can find on our yelp page. Call us today to see what all the fuss is about. Our commitment is to provide you with a service you won’t forget. We value our clients and making sure we have your complete satisfaction is what we make all our technicians have in mind. We feature all types of garage doors including ones manufactured from many companies like the one’s mentioned before. When choosing a new garage door, an opener is another component to consider. This is because of the convenience of being able to remotely operate your garage door. For example, when coming home from work you can simply press a button to get into your garage. Just how we offer a wide variety of garage doors. We also have a wide selection of garage door openers. There are many different brands to choose from. But of them, there are four different kinds of garage door openers. They include the chain drive, belt drive, screw drive, and jackshaft garage door openers. They all have their benefits and some drawbacks. You can read about them in detail below. Our opener installations are second to none. We pride ourselves on having the best technicians to get your opener installed not only accordingly but in a prompt fashion as well. Give us a call to schedule an appointment today. Belt drive garage door openers are the quietest of all the garage door openers, except for the jackshaft opener. The reason this opener is so quiet is the materials used. In older garage door openers there used to be only the chain driven operation. Rather than using a chain, though. These openers use a rubber belt made from durable materials. They are quiet but the main drawback is the price. This is the most costly opener available today and that might change your mind about owning one. Although, that is the only drawback. These openers are extremely reliable and with proper maintenance can last for years. Unlike the chain drive and belt drive garage door openers, this opener works via a threaded steel rod or screw. Which means that rather than using a belt or chain to move the garage door it uses a screw. This screw has an arm that attaches to the top of the garage door. Said arm then moves along the garage door to open and close. Because of this, it has less exposed moving parts. As a result, it requires less maintenance than it’s counterparts. This could be the option for you if you’re looking for something that is both quiet and reliable. That’s not to say the other openers aren’t reliable but rather that this one stands above the rest. This is by far the most popular option available. Chain drive garage door openers are also some of the oldest available openers. Some have been discontinued making it harder for repair technicians to replace the components. Nonetheless, the garage door openers are extremely reliable. Some of the oldest openers we have replaced are chain drive garage door openers. Although, the only negative aspect about this particular option is the noise level. These garage door openers are loud. So it’s not an ideal solution if you have something like a bedroom above your garage. Nevertheless, these openers are very durable. Meaning with proper care and maintenance they can last you a very long time. Jackshaft openers are the newest to the garage door market. Unlike any of the other models, this opener doesn’t mount above the garage door. Rather, this options mounts beside the garage door next to the torsion springs. The reason being that rather than using a trolley to transfer the movement on the springs, it just moves the springs. This allows for smooth operation of the garage door making this opener as silent as the belt drive garage door opener. Not to mention, it frees space above the garage for storage or any other purpose. This is also the go-to option if the other options can’t be installed in your garage door. One particular part that a garage door can’t function should it be missing is the garage door springs. The garage door springs hold the weight of the garage door. Meaning that if they break the garage door simply won’t work. There’s a number of reasons why garage door springs fail. Including age, improper installation, wrong measurements, and drastic weather changes. That means that over time your garage door springs will give out. Fortunately, we’re here for those situations. There are 2 different types of garage door springs which are, the extension and torsion springs. There’s a number of factors on finding out which garage door spring belongs to your garage door. 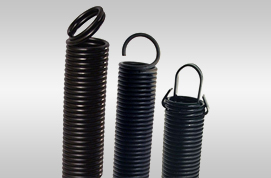 First and foremost, what type of garage door spring do you have? As mentioned before, there are two types of garage door springs. You can identify them by simply inspecting where the garage door springs are installed. To find the extension springs you only need to check the sides of the garage door if the springs are there, that’s your springs. On the other hand, the torsion springs will be directly above the garage door. After that comes the measurements. You can get them by following these steps. Up first, you will want to look at the end of the spring and note the wind direction of the springs. Whether they twist to the right or to the left. Next, we will measure the length of 10-20 coils to determine the wire size. For torsion springs, measure the inside diameter down to the 1/16″ measurement. Finally, measure the overall length of your spring down to the nearest 1/4 of an inch. Congratulations, you now have the measurements to get the right spring for you. Although, changing the spring can be dangerous. So if you plan to go it alone in a DIY project use extreme caution. Of course, you can always call your professional garage door friend’s here at Garage Door and Gate Repair Santa Clarita CA. Our beautiful and friendly receptionist are available 24/7 and we can get all this done for you at a price that our competition just can’t compete with. Call us now at (877) 216-4134, to receive our top-tier garage door services today!